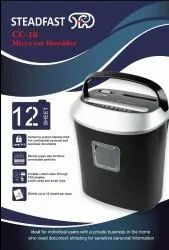 Our range of products include steadfast cc 14 cross cut shredder and steadfast cc 10 cross cut shredder. 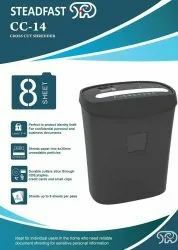 Orchids presents Micro Cut Shredder which helps to protect privacy of your discarded confidential documents by shredding it into micro unreadeable pieces . Our product is safe, portable, user friendly and helps in lowering work load. These machines are made from superior quality material using advance technology. It helps in working efficiently and the highly durable cutter slices through CD's, staples, Credit Cards and small clips. It can shred upto 12 sheets per pass.